I had the pleasure of interviewing Ross Lipson. Ross’ career started over a decade ago in online food ordering. Focused on university markets in the United States, his group expanded coast to coast, facilitating online orders for tens of thousands of restaurants. In 2008, he took his expertise in online ordering to Canada, an untapped market, and launched GrubCanada.com, Canada’s first online food ordering service. GrubCanada was later acquired by Just-Eat, a publicly traded online food ordering giant, based in Europe. Ross then moved to Bend, OR to enjoy a few years off. 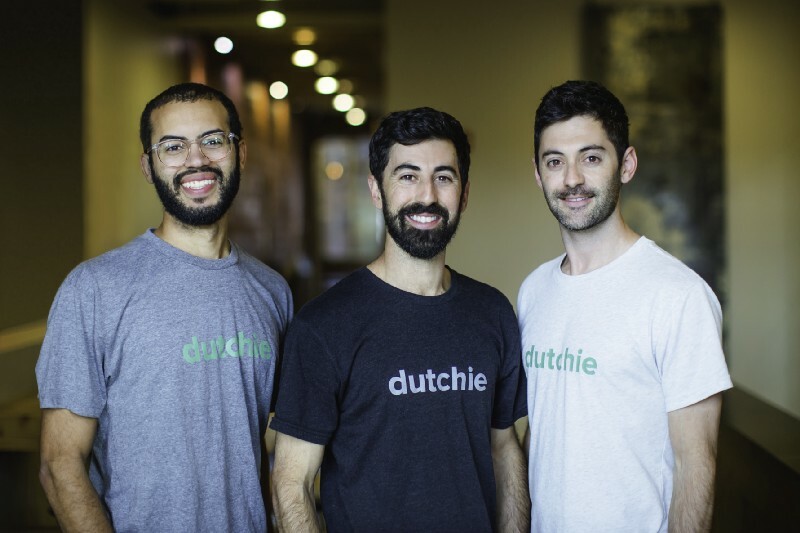 When cannabis legalized for recreational use in Oregon, he decided to apply that same knowledge from online food ordering to online cannabis ordering, which has now developed into Dutchie. 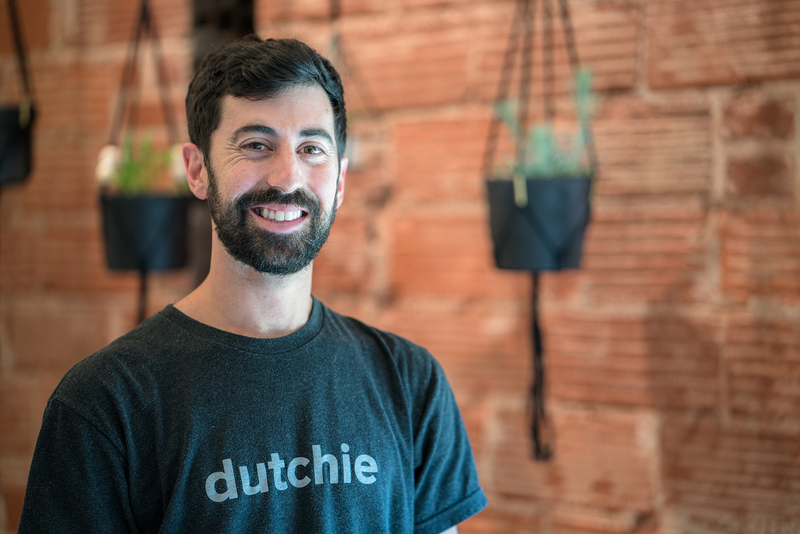 Ross is currently a co-founder and the CEO of Dutchie, one of the leading online ordering services in the cannabis space. In late 2015, when cannabis went legal for recreational use, my town, Bend, OR, had dispensaries opening on almost every corner. Each dispensary had a packed parking lot with a line out the door. I stood in line one day, with everyone else, and couldn’t help but think how much these consumers and retailers could benefit off of a safe, easy and clean online ordering experience. Allowing the customer to browse up-to-date menus with product information and place an order for pick up or delivery ahead of time, before actually going to the store. I’ll never forget the day I saw a slice of pizza show up on an order placed on Dutchie. Turns out, one of our dispensaries added a few slices to their menu. Seems like a natural fit, cannabis, and pizza! This brought me back to my roots in online food ordering. Absolutely, always. We are studying our consumer’s behavior to understand buying patterns. This data will allow us to suggest products and help guide the consumer through the buying process. There are so many products in the cannabis space, and a lack of consumer education, which often leads to the consumer not knowing what to purchase. We are excited to solve that problem for the consumer and make sure they receive the products they want. My brother, Zach Lipson, who is my co-founder and Chief Product Officer. At my core, I’m a salesman. The better the product, the easier the sale is. In my case, I’m fortunate to have a phenomenal CPO in my corner that backs up my vision of where to take Dutchie, with a best in class product. Whenever I’ve had an idea in my life, I quickly call my immediate support network (my family and close friends) and share the idea. When I get to my brother, he plays a very tough devil’s advocate position and pokes holes all over the idea, usually sinking it quickly. When I called him to tell him I wanted to start an online ordering service for the cannabis space, he quickly replied in a very dominant tone, “No brainer”, and just like that we began building the company. The cannabis industry is a very exciting space to be involved with. The idea of how young the industry is. The fact that the addressable market continues to grow as each new state or country legalizes cannabis for either medical or recreational use. Having the opportunity to help shape the way an industry operates are all very exciting. There are also a few concerning aspects. Being at the mercy of the Federal and State governments, in a constantly changing market, definitely has its challenges. It’s difficult to foresee the future of the regulatory environment, which causes a lot of uncertainty for businesses like ours. We’re also seeing a large influx of capital and high valuations in the cannabis space. Some may view this as a “bubble”, which may overshadow some of the great businesses being built. Understand your client. The operators in the cannabis space are dealing with a very unique set of circumstances. The systems in place are not easy to maneuver and operate with. A deep understanding of their pain points, help you create solutions that will earn their trust and loyalty. Keep an eye on the regulatory environment and how it’s changing. Certain changes may have a direct impact on your business or your customers, so it’s important to keep a close watch and adjust your business plan accordingly. Understand the systems in place and how the operators are using them. From Seed to Sale, to POS systems, they are all intricate and highly regulated. It’s easy to buy into the hype surrounding cannabis companies, and some may view it as an easy path to success. While I do believe that many will find success, it won’t come without a lot of hard work, grit, and determination. Stay in your lane and do what you do best. Most cannabis companies see too many opportunities and dilute their value and core offering by trying to do too much. Each piece of the pie is valuable. You have a far better shot focusing on one, than many. Aside from your particular vertical, which other cannabis ancillary industries do you think have very strong potential in the next few years? Can you explain why? The POS space has a lot of potentials. The POS system is the backbone of the retailer, running their inventory, compliance, and transactions. The wholesale platforms that connect brands to retailer show a lot of promise as well. This part of the supply chain will of course always exist, and a platform that makes the process easier brings a lot of value to the retailer, as well as the brands. Set the right example. The team’s culture, work ethic and overall vision of the company and job, start at the top. Apart from cannabis, I’m also passionate about the potential worldwide benefits of hemp. Many people aren’t aware that hemp can be a powerful alternative to many things that are damaging our environment. Due to the restrictions with social media and advertising the cannabis space, we do not sink to much time and effort into our social presence. We encourage everyone to visit www.dutchie.com and enjoy the service! 5 Things to do on a trip to Vancouver!